At FCPT, the treatment provided varies per patient depending on the current condition, medications, past medical history and personality. An extensive evaluation is performed upon initial visit to determine what type of customized approach we’ll use in treating the specified condition(s). Listed below are various treatments offered at FCPT (all of which are covered under the listed accepted insurances). At Family Care PT, we believe that true physical therapy isn’t just the removal of pain or symptoms, but an ongoing practice of our patients to take what they have learned with us, and apply as they move forward. We offer a number of solutions designed to integrate physical therapy with overall wellness, fitness, and even nutrition. Our patients are evaluated not just for their injuries, and our goal is to improve the quality of life for our patients overall. We own the #1 rated outpatient cold laser unit in WNY. Cold laser therapy is used in the treatment of acute/chronic pain conditions through a safe, effective and painless (no side effects) manner by stimulating natural biological healing in a tissue that is either unable to recover on its own or is slow in healing. Massage therapy is often used to help alleviate stress, anxiety, and to promote a general sense of wellbeing. While we at Family Care PT firmly believe that, we also like to encourage our patients that are receiving physical therapy to utilize massage therapy to help promote healing, and to aid in areas of discomfort. 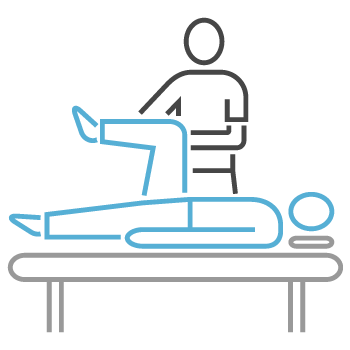 At Family Care PT, we utilize spinal decompression for the treatment of back and neck pain. 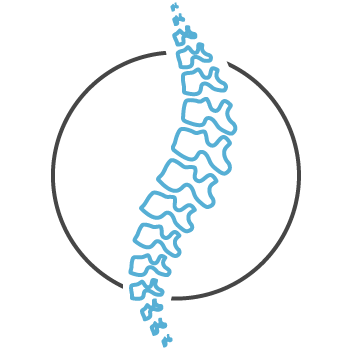 Spinal decompression is a non-surgical pain free option that uses a traction force to create a negative pressure within the disc that pulls the inner disc material back within the normal confines to promote healing. Plantar Fasciitis is an extremely painful ligament strain occurring in the bottom of your foot. At Family Care PT, we have created several treatment programs that have allowed patients suffering from this difficult condition to return to their normal activities of daily living. Myofascial release is a form of soft tissue therapy used to treat impaired or altered functions of related components of the skeletal and fascia. Myofascial release can improve areas of discomfort and range of motion in patients. 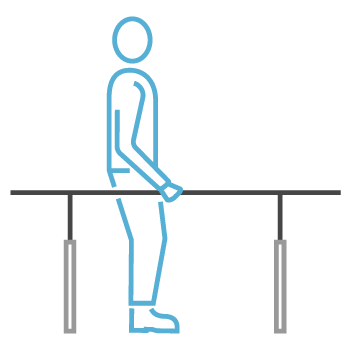 Manual Techniques/Mobilization – Joint mobilization is a type of passive movement of a skeletal joint. It is usually aimed at a ‘target’ joint with the aim of achieving a therapeutic effect. 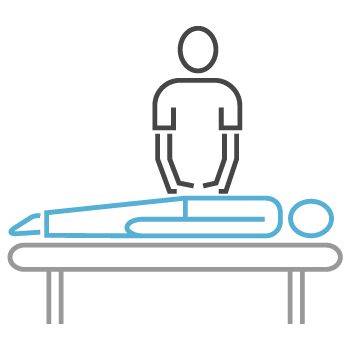 When applied to the spine, it is known as spinal mobilization. The procedure is performed in a gentle fashion with the purpose of increasing the range of motion of the joint. Therapeutic Exercises – Therapeutic Exercises are prescribed to improve flexibility, increase endurance, aerobic capacity, and strengthening, among other purposes. Strengthening is designed to increase the maximal force that a muscle or muscle group can generate. Stretching exercises increase range of motion by lengthening tendon and muscle beyond the available range. Aerobic endurance exercises use a combination of cardiopulmonary endurance exercise with strengthening. Electrical Stimulation – Neuromuscular electrical stimulation (NMES) is used to provoke a muscle contraction using electrical impulses. It can be used as a strengthening tool or a rehabilitation/preventative tool for partially or totally immobilized patients. NMES can also be used to increase circulation, relax muscle spasms and increase/maintain range of motion in a joint. Iontophoresis – Technique using a small electric charge to deliver a medicine or other chemical through the skin; essentially it is an injection without a needle. 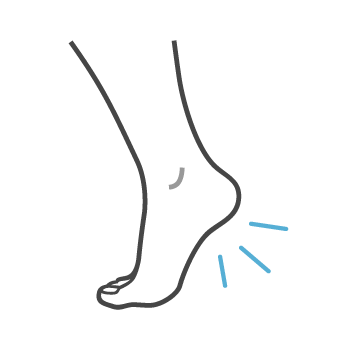 We use this method to treat conditions that have a high inflammatory response/overuse injuries (plantarfasciitis, bursistis, elbow tendonitis, patellar tendonitis). Little to no pain is experienced with this procedure. Graston / Cupping – is a form of deep friction massage to assist in soft tissue mobilization that enables clinicians to effectively break down scar tissue and fascial restrictions. The technique utilizes specially designed instrument to specifically detect and effectively treat areas exhibiting soft tissue fibrosis or chronic inflammation.While Graston is a compressive form of massage, Cupping is a decompressive form of soft tissue release utilized to increase blood flow to the affected tissues to help diminish soft tissue irritation, and myofascial pain. 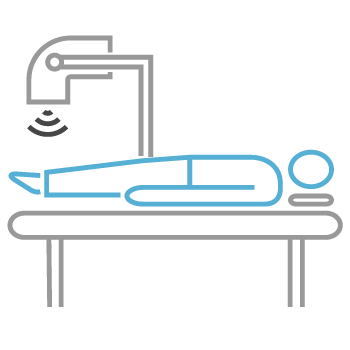 Ultrasound – Ultrasound is applied using a transducer or applicator that is in direct contact with the patient’s skin. Gel is used on all surfaces of the head to reduce friction and assist transmission of the ultrasonic waves. These waves are primarily absorbed by connective tissues, ligaments, tendons, and fascia. Conditions we most commonly treat using ultrasound are: ligament sprains, muscle strains, tendonitis, joint inflammation, plantarfasciitis, impingement syndrome, bursitis, rheumatoid arthritis, osteoarthritis and scar tissue adhesion. There are three primary benefits to ultrasound. The first is the speeding up of the healing process from the increase in blood flow in the treated area. The second is the decrease in pain from the reduction of swelling and edema. The third is the gentle massage of muscles tendons and/ or ligaments in the treated area because no strain is added and any scar tissue is softened. Core Stabilization Program – Key exercises designed to strengthen your core. Core strength can help promote better posture, decrease back pain, and help promote a healthier sense of wellbeing. Whirlpool Therapy – Whirlpool Therapy is used when a patient is experiencing loss in normal functional mobility and swelling caused by a number of conditions including sprains and strains. There are many treatments available to our clients, and the use of Whirlpool Therapy is a great way to reduce swelling, control inflammation, improve motion, and decrease pain. In many instances, we use whirlpool therapy after other physical therapy treatments. Golf Injury Rehabilitation – Golf is an extremely disruptive game to the body and over time, patients might experience a loss in normal functional mobility. Whether Golf is a sport for fun, or for someone on a competitive circuit, rehabbing golfing injuries is only part of our Golf Rehabilitation services. At FCPT, we focus on both rehabbing Golf injuries, but also work with our patients on the preventative side to prevent future injuries or discomfort. Paraffin Wax Therapy – Rehabilitation specialists, massage therapists, and the spa industry have endorsed paraffin wax for its therapeutic properties. Physicians have long known that paraffin therapy is a veritable way to speed healing and soothe muscle and joint pain. In fact, the healing qualities of paraffin wax therapy have been known for centuries. Paraffin therapy is quite common and widely used to aid in the treatment of conditions such as the following: Arthritis, Bursitis, Fibromyalgia, Inflammation, Muscle Spasms, Overworked/Fatigued Muscles, Psoriasis, Scar Tissue, Stiff Joints, Tendonitis, Tennis Elbow and many more. Personalized Health and Wellness Programs – At FCPT, we believe in your overall health and wellness. Our physical therapists are here to provide you with the best regimens to get back to normal life, but we can also assist you in your personal health efforts. Taking the time outside of your physical therapy sessions to work on your wellbeing is imperative to a long healthy life.